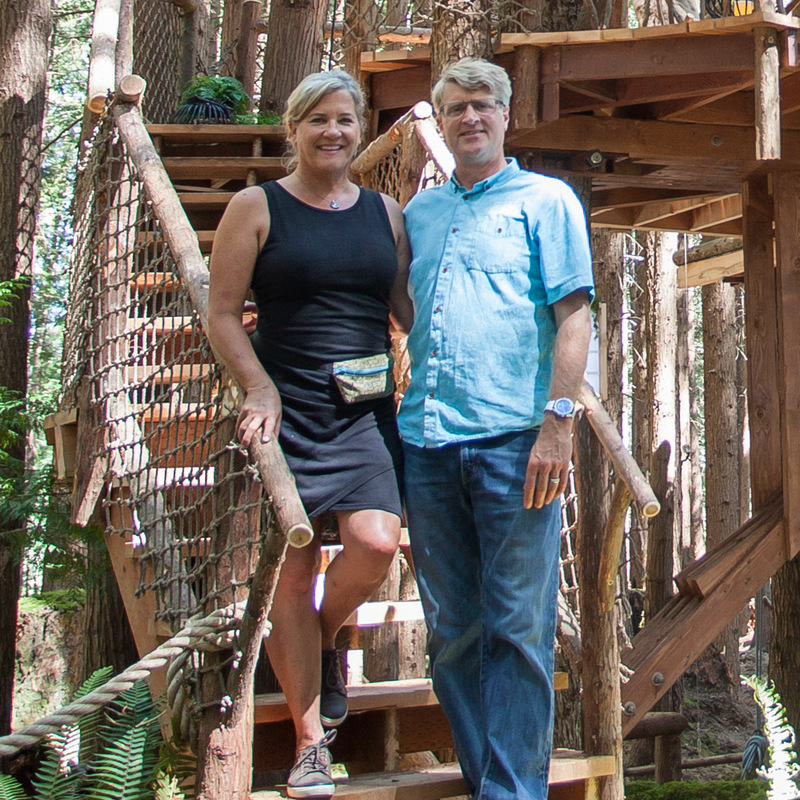 Pete Nelson's photo tours of treehouses from Season 7 of Treehouse Masters on Animal Planet. Zac and Pete loved the idea of the Space Crab treehouse as it fuses the alien with the natural to create a structure that's out of this world! We are overjoyed that generations of campers will be able to dream, play, and learn in Zac's Space Crab. This romantic treehouse is nestled in a vibrant forest on the banks of a river in Michigan. Pete had the best time designing and building a treehouse for Charlie on Treehouse Resort and Spa property. For his part, Charlie loves staying in this cozy and lofty new treehouse! Ron and Victoria were wishing for an elegant home in the trees at their lakeside property near Cadiz, Kentucky. This couple loved the aesthetic of the architectural legend Frank Lloyd Wright, and asked Pete to take Wright's famed prairie style into the trees. Pete and Daryl gamely accepted the challenge, and loved integrating Wright's aesthetic into a tranquil treehouse that beautifully celebrates the nature around it. It was so much fun to build this tasting room treehouse at Angry Orchard in New York! Guests can sample ciders while overlooking apple orchards and soaking in views of the Catskill Mountains. Avid outdoor adventurers Mike and Monica were dreaming of a treehouse to use as a planning headquarters for their future travels. When Mike contacted Nelson Treehouse and Supply about his treehouse dreams, Pete and his crew could not wait to start designing and building the adventure HQ. The French-themed dining treehouse at the Laurel Tree Restaurant in Utopia, Texas is the perfect place for a romantic meal.